Which unit is right for me? What size of Air Conditioner do I need? Our portable air conditioners can be taken anywhere in your home & are perfect for those of you looking for a versatile, mobile air conditioner. Wall split air conditioners offer an efficient, direct, quiet and minimal solution, ideal for homes, offices, server rooms and more. Perfect for commercial and residential areas, ceiling cassette air conditioners usually fit into false ceilings and are ideal for freeing up floor and wall space. Looking for something bigger? 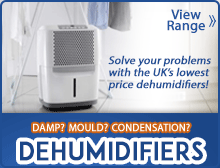 See our range of powerful commercial air conditioners. Our dedicated business team offer you one-to-one account management and even the option of a credit account when purchasing air conditioning for your business. Need help picking out the right unit? Look no further! 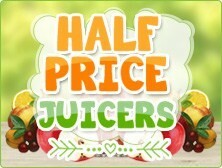 Half price juicers in stock - Get your 5 a day in 1 glass! Bag yourself a bargain & save up to 60%, limited stock available. 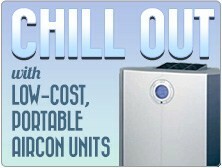 ...with our range of cost-effective air conditioners.